The fact that the nine other searches are asking about what zombies do then I think it's obvious that zombies must exist! Well, do zombies make good flotation devices? Some people don't realize Zombies float and have feellings? WTF!? Some of the greatest poets out there are floating Zombies!! People really need to look things up better on Google!! 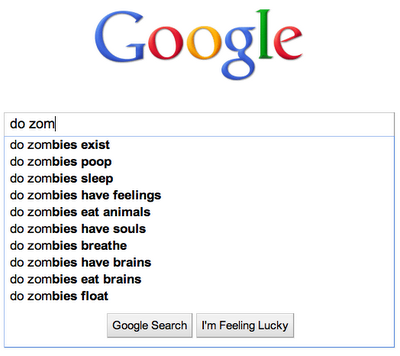 Everyone knows zombies don't poop...who would ask Google such a silly question? Geesh. 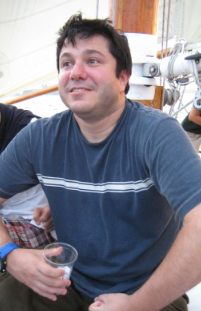 Q: Do zombies goto Heaven? A: If love God N each other, yes!